Infra red filter blocks all light visible to human eye, and emits light only Infra red Light (which is invisible to human eye). IR filter does not allow any visible light to leak from HHSL. HHSL when fitted with IR filter enhances night vision capabilities of NVD's, NVG's and all other night vision devises, of all generation, hand held / weapon fitted. HHSL with IR filter throws extra light on the target for its quick & easy identification, without disclosing the light source to the enemy. IR filter can be easily attached / detached from HHSL. 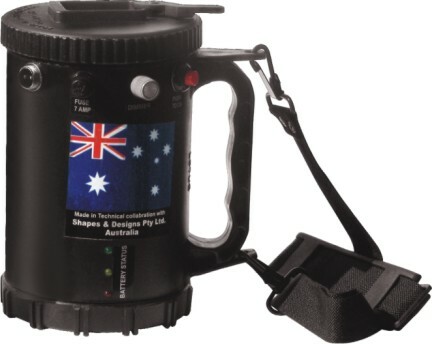 It fits on all types of search light (detachable / non-detachable), old / new HHSL of any make/ brand . Can also be used with all other accessories fitted into light e.g. zooming etc. 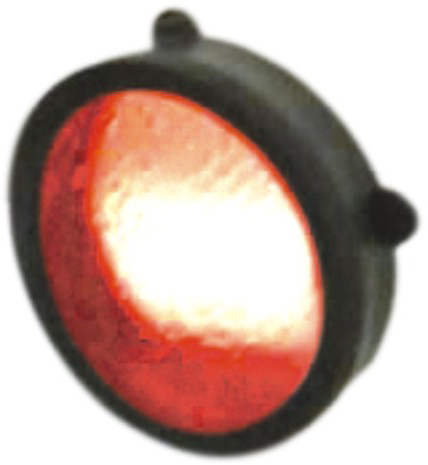 IR filter comprise of IR glass (toughened, polished) fitted inside flexible rubber to fit any old / new HHSL of any brand. IR filter does not fall of its own from HHSL during movements etc. Mechanical Zooming for focusing on small area view at long distance or wide area beam spread for large area view at short distance. Easy to zoom, requires no maintenance. Additional weight increase in HHSL : 70 grams. All our lights have option to be also charged from Solar Panel (of minimum capacity 8 Watt). 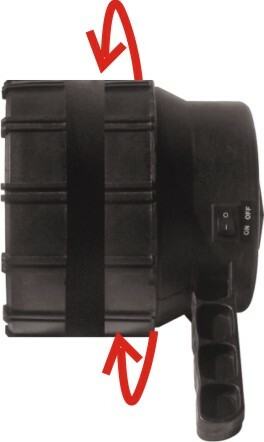 We provide special DC charging socket with internal connections in new / old HHSL to make them Solar Power charging compatible. Inbuilt overcharging protection, 100% safe. We also sell new Solar Panels. Single Charging station for 10/20 HHSL 70-270 V AC, Microprocessor controlled. Overcharging auto cut off, booster charging option High spikes/AC fluctuation protection. External DC charger for charging HHSL from truck / jeep / external battery. Available in option of 12 V and 24 V DC. Overcharging auto cut off, microprocessor controlled. Manual / Automatic 3600 Rotation. Vehicle mounted stand for detachable search light. Range : 50, 100, 300, 500 mtrs.